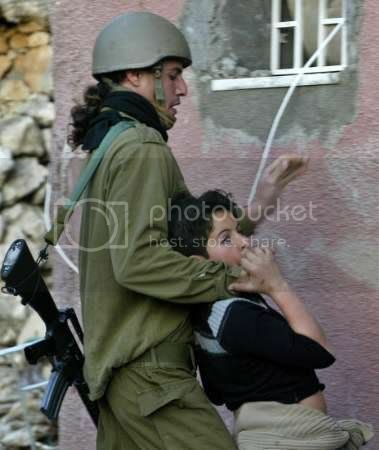 I've seen various threads in the past, with one or two very moving images, of Israeli Attrocities. 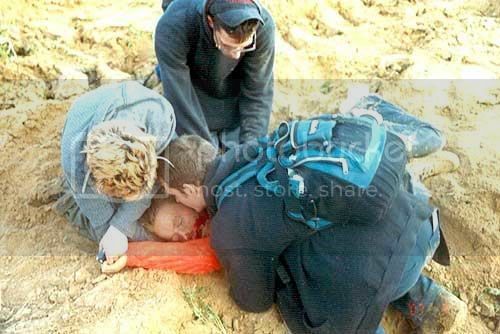 One which left an impact on me, was ZionistTerrorists firing on a cowled father trying to protect his son, and they fired at him untill his minor son was killed. 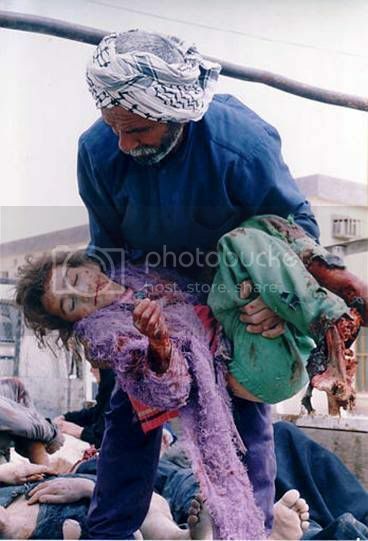 Let's not the world forget what these Jewish Terrorists are capable of, and for how long has their reign of terror gone on for, including civilian casualties. Post all Images from your collection here. Where is neighbouring Muslim Countries ? Jordan Govt .. Egyptian govt ?? I can only see Hazbullah from Lebanon doing some thing to fight against Israel..
all other people just do formailty to give funds to build Gaza after every israeli attack..
Palestinians need weapons to defend themselve not the Funds !!! don't worry kid Pakistan has got a nuke, they get rid of Gaza and we (Pakistan get's rid ) of telAviv. This is pure evil in the face of earth and the entire world has sold itself to it. Shame on us all. 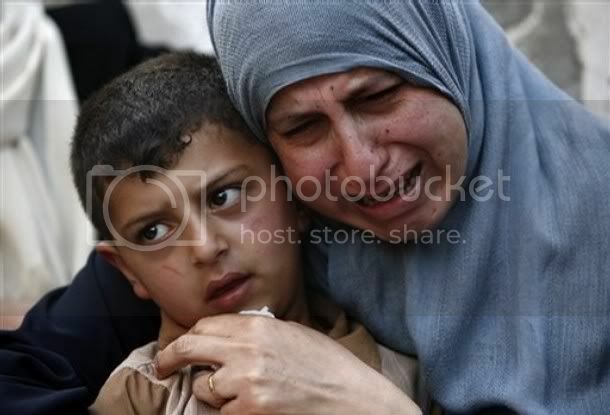 Only Allah (SWT) can help them now. Its through action this will change, not by talk, or showing pictures or discussion or sympathasing or waving placards or demonstrating. You have to act by digging into your pockets or marching with your feet. The more the Palestinians suffer the closer we become. May Allah give the Palestinians victory in my life time. Jews supposedly have the oldest lease in the world! They came back to claim this land after about 2,000 years; ignoring the ground realities! 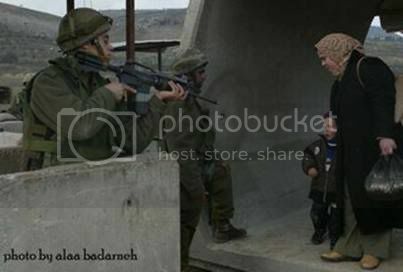 So what protects Israel? 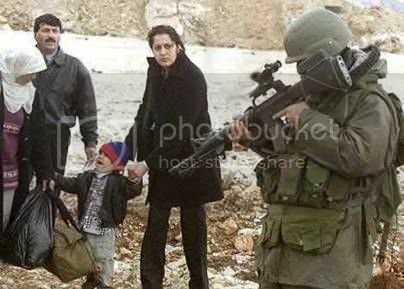 Why and how is this apartheid state allowed to get away from their cruel and barbaric behaviour? 3. They have buffer states controlled by their agents who restrict the flow of resources and weapons. 4. They cause disunity amongst states through propaganda by supplying disinformation,weapons and triggers. Because they have gotten away with it so long the jews have become more bolder in their atrocities until they were brought to reality by Hizbollah. The muslims have also become too inwardly. They have become detached from the old ways of thought and are now focused on material wealth and individual success and immoral desires egegd on by western media influence and western education system. No more are the inspirational leaders who could take a whole continent to jihad, no more are the leaders who spread the law of Islam. Correction: The Palestinians have that. They were called the Philistines before. And the Gaza and I BELIEVE West Bank was around during the time of Alexander The Great, when he was expanding his Greek empire. Back then, of course, Islam did not exist, nor Christianity. But the people of Philistine (a.k.a. 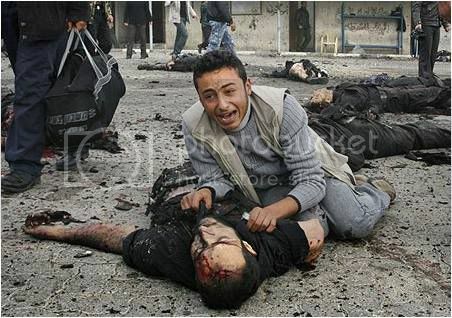 Palestine) did, as well as the two major cities, one of them being Gaza. Israelites came later on, defeated the Philistines. Then they were overrun many times by others including the Romans. The last ones to overtake the Israelites were the Arabs, under Salaoudin Ayoubi. Then it was later renamed as Philistine, only this time with Islam as the dormant religion. It ain't easy being GREEEEN. "When there is no more room in "hell", the "dead" shall walk the earth. - Priest in the movie, "Dawn Of the Dead". "I'll tell you what every good soldier knows. The only thing that counts in the end is POWER! NAKED MERCILESS FORCE!!!" - General of the apes, Movie: Beneath the Planet of the Apes. "..gator's getting close. Hasn't got me yet." - Genesis from song "I can't dance". Zionist Terrorists on the Freedom Flotilla - Hijacking of the Humanitarian Aid. LONDON: Autopsy results on the bodies of nine Turks killed in an Israeli raid on an aid ship to Gaza found they were peppered with bullets and many were shot at close range, British newspaper The Guardian said on Saturday. Citing Yalcin Buyuk, the vice-chairman of the Turkish council of forensic medicine, which carried out the autopsies for the Turkish ministry of justice Friday, The Guardian said the men were shot a total of 30 times. One 60-year-old man was shot four times in the temple, chest, hip and back, while a US-Turkish citizen was shot five times at close range in the face, the back of the head, twice in the leg and once in the back, the paper said. Two other men were shot four times, and five of the victims were shot either in the back of the head or in the back, Buyuk said. The Israeli authorities and the activists had conflicting versions of what happened during the deadly pre-dawn raid on the aid ship on Monday. 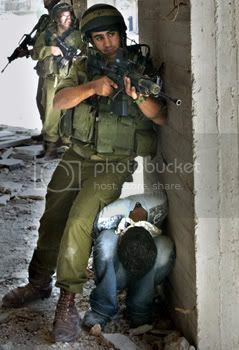 Israel has said the commandos only opened fire after they came under attack with clubs, knives, guns and other weapons. Bulent Yildirim, head of the Islamic charity Foundation of Humanitarian Relief, which spearheaded the Gaza aid fleet, said activists used iron bars in self-defence after Israeli soldiers fired indiscriminately when they stormed the Turkish ferry Mavi Marmara. The newspaper also quoted Haluk Ince, chairman of the council of forensic medicine in Istanbul, as saying that in only one case was there a single bullet wound, to the forehead from a distant shot, while every other body showed multiple wounds. He said all but one of the bullets retrieved from the bodies came from 9mm rounds. JERUSALEM: Some stories are told with shame; others are just matter-of-fact accounts, but the dozens of soldier testimonies in a book to be released this month lays bare the grim day-to-day reality of Israel’s occupation of the Palestinian territories. “Breaking the Silence” shares the name of its publishers, a group of veteran Israeli combat soldiers who collect testimonies and photographs from troops who have served in the West Bank and Gaza Strip. 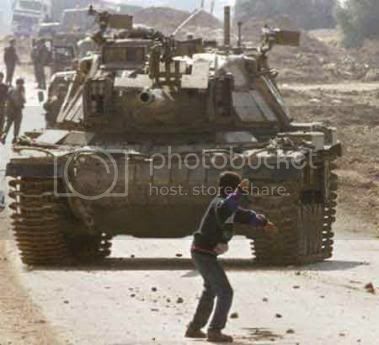 It is due to be released on December 21 to mark 10 years since the outbreak of the second Palestinian intifada, or uprising, and seeks to understand the overall policies of the military through the experiences of troops on the ground. “The book exposes the operational methods of the Israeli military in the West Bank and Gaza Strip, and the impact of these methods on the people who live in the territories – Palestinians, settlers and the soldiers themselves,”reads the introduction in an advance copy obtained by AFP. “We demand accountability regarding Israel’s military actions in the occupied territories perpetrated by us and in our name,” the group wrote. 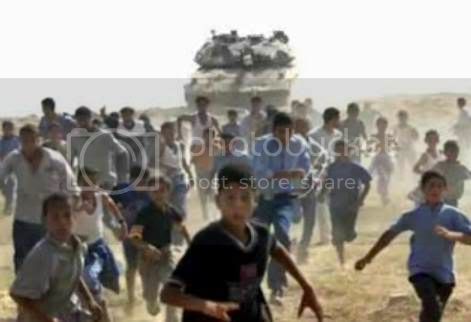 In reaction, the army said Breaking the Silence “continues to behave towards the IDF (Israeli Defence Forces) in an unfair manner that raises significant questions as to its intentions. “The organisation has been reminded countless times that it is welcome to present its testimonies and evidence to the appropriate law enforcement agencies so they can conduct a full and professional inquiry. But the group “has chosen to act otherwise, and has released to the media a jumble of information without permitting the investigative authorities to complete their work. The 431-page tome contains more than 100 anonymous testimonies collected since the group began operating in 2004, illustrating different aspects of military policy as seen through the eyes of the ordinary soldier. The first part of the book details random shootings, tales of keeping entire villages awake at night, arbitrary house searches initiated by bored commanders and even orders to kill unarmed men suspected of being lookouts. All the stories are told in the soldiers’ own words – much of it peppered with military slang. “An unarmed man walking on the roof, walking around. We reported it to the company commander. The company commander said: ‘Take him down.’ (The sharp-shooter) fired, took him down,” said a paratrooper, describing an incident in the West Bank city of Nablus at the height of the uprising. “The company commander decreed, decided on the radio, a death sentence for that man. An unarmed man,” he said. Another section highlights the army’s policies for controlling the Palestinian civilian population, including a separate road system, curfews, beatings, detentions and endless waits at roadblocks and checkpoints. The final chapter examines the complex relationship between the IDF and Jewish settlers in the West Bank. “While the Palestinians are controlled by the use of threats and military force, soldiers’ testimonies describe how the IDF serves, trains and advances the political ambitions of settlers in the territories at the expense of the Palestinian population,” the book says. Testimonies describe protecting settlers while they attack Palestinians, soldiers taking orders from settlers and a military that refrains from enforcing laws against the settlers. The point of this report is that people in the West are beginning to wake up to Israeli atrocities and beginning to come out of the closet as they say...and that's got the Israelis and their supporters underwears all twisted into knots. Who is Behind Seattle's Anti-Israel Bus Campaign? A news report from King-5 reported that in King County, Seatle, a bus poster campaign will commence on December 27. This campaign will showcase the slogan: “Israeli War Crimes: Your Tax Dollars at Work.” The posters are the brainchild of a group called the Seattle Mideast Awareness Campaign. So who is Ed Mast, and what is the Seattle Mideast Awareness Campaign? Mast is originally from California, now resident in Seattle and he is a playwright. His plays include works for children such as “Jungalbook” and “The Hobbitt” (I am currently unable to find out if Mast has gained copyright permission from the Saul Zaentz Company which owns rights to Tolkein’s works). Mast has been a fan of Tolkein’s fantasies since the age of 12. His futuristic play “S2” was panned by the Seattle Times. In 2002, Mast received the annual human rights award of the United Nations Association of Seattle. 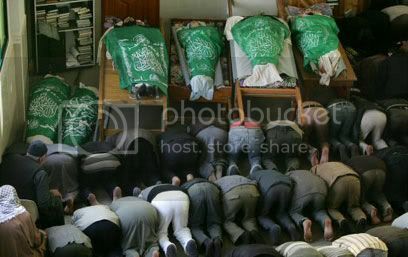 At that time, Hamas was engaged in a particularly bloody campaign of suicide attacks against Israeli civilians. Barclay, who had previously described herself as a “political prisoner of Israel,” had sat in the homes of suicide bombers in “solidarity.” Since 2007, Barclay has been employed by Seattle Central Community College as an “Educational and Anthropological Consultant”. For someone who asserted that Hamas was “interested in non-violent resistance,” one wonders what “anthropological” information she promotes. She apparently does bring her political opinions into her classes. Ed Mast, by reason of his literary reputation and his historic association with the International Solidarity Campaign (which published a faked photo to “authenticate” the narrative of Corrie being “murdered” by evil Israeli oppressors) seems a politically appropriate figure to be a spokesperson for the Seattle Mideast Awareness Campaign. However, he is not the person who is officially behind this group. That honor must go to another figure. signed a Memorandum of Understanding in August 2007 committing the U.S. to give Israel $30 billion in military aid over the next decade. The solution to this conflict is simple and has been clearly stated for decades, but the U.S. and Israeli governments have refused to accept its terms: Israel must end its military occupation and colonization of Palestinian land in the West Bank and Gaza and remove ALL OF ITS its soldiers, settlements and settlers from Palestinian land to the 1967 borders, in addition to complying with International Law and all outstanding UN resolutions on this conflict. The only thing that has made this complicated has been Israeli/American attempts to get Palestinians to accept far less than a just solution. One of its linked sites, “Friends of Sabeel” has a succession of maps which are recommended as “useful.. to accompany your readings.” The first of these shows “Palestine” in 1946. This is ridiculous. Palestine has never been an independent state. The region now comprising Israel and “Palestinian territories” was a territory of the Ottoman Empire until the time of World War I and went into the custody of the British – the Palestinian mandate. The virtually solid area of green is progressively replaced by areas of white which are labeled as “Israel” even in the 1947 map – a year before Israel was voted into existence at the United Nations. Palestinian apologists and facts do not mix easily, it seems. A check on the ownership of the website of the Seattle Mideast Awareness Campaign brings up the following: Registrant - Mark E-W, with phone 206 306 6907. The email for the registrant is admin@marsew.net and the phone number is the same. Marsew.net is a website design company, officially based in Oregon, part of the “Morning Rose” business program. A check on the Oregon Business Registry reveals that the registrant is Andrea Eichinger-Wiese, based in Eugene, Oregon. The registrant for the web domain of the Seattle Mideast Awareness Campaign appears to be none other than Mark Eichinger-Wiese. As the Seattle Mideast Awareness Camp is claiming non-profit status, it appears in the business registry for Washington State, here and here. The registrant is Mark Eichinger-Wiese, and the company was registered in May 2010. His PO Box is PO BOX 17857, the same as the PO Box for Mark E-W.
Mark Eichinger-Wiese is described on various online links as a photographer and a website designer, and has a web group called Eichinger.biz. Eichinger is connected with St. Mark’s Cathedral, the Cathedral church for the Episcopal Diocese of Olympia. On the Washington state-based website of the Seattle Mideast Awareness Campaign, there are no links to groups that are overtly “Islamic.” This gives the impression that the group is campaigning from a position of “morality and justice,” rather than being manipulated by the same elements that influenced the International Solidarity Campaign shortly after it was founded in August 2001. It is deeply worrying that a church – albeit an unusual church (its last archbishop was openly gay) – should be involving itself in campaigns which do seek to boycott Israel. Ed Mast’s Palestine Information Project is blatantly political, and makes no mention of Hamas or Hizbollah. This is more worrying, considering the manner in which the International Solidarity Campaign (ISM) when Ed Mast was a volunteer coordinator involved Western volunteers to mix with and support relatives of - and actual - terrorists of Hamas and Hizbollah. The statement of purpose of the Palestinian Information Project is entirely biased against Israel, and places no blame upon the Palestinian factions who continue to engage in terrorism. 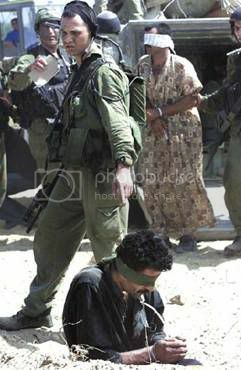 ISM was and is an organization that supported armed struggle against Israel. Hamas and Hizballah emerged in the context of brutal Israeli invasions and military occupations. Their popular support and legitimacy have increased as they demonstrated their ability to present a credible veto on the unrestrained exercise of Israeli power where state actors, international bodies, the peace process industry and secular nationalist resistance movements notably failed. As their influence has grown, both movements have steadily tempered their universalist Islamist rhetoric and adopted the language and imagery of classical national liberation struggles albeit with an Islamist identity. A political path that was pioneered by Hizballah of recasting its Islamist identity and goals within the constraints imposed by pluralist national politics is now being trodden by Hamas. Contrary to the oft-repeated claim that Hamas inflexibly seeks the complete conquest of Palestine and the expulsion of all Jews (aka "the destruction of Israel"), the movement has moved over time to explicitly endorse a generation-long truce with Israel and unspecified future political arrangements that will be the outcome of negotiations. When Hamas removes the clauses calling for the destruction of Israel and celebrating the killing of Jews by Muslims from its charter, Ali Abunimah’s words may have more credibility. When Gilad Shalit is freed by Hamas and Qassem rockets stop being fired at Sderot and other Israeli towns, Hamas may be considered to be on the road to “engagement” with the developed world. If the issue of the Seattle billboard campaigns and bus posters were to be viewed as a solely local affair confined to Washington state, it would be serious enough. The campaign demonizes Israel and could lead to attacks against Jewish American citizens. Its main representatives claim not to be anti-Semitic, but engage in a campaign whose aim is entirely anti-Israeli. It is shocking that a Cathedral leader should be involved in supporting such a campaign. The left are always keen to demonize “Islamophobia” but never so ready to condemn anti-Semitism. Unfortunately, it seems that the Seattle Mideast Awareness Campaign is just an offshoot of a larger group, that is based in New Mexico. This group is the “Coalition to Stop $30 billion to Israel.” It has been in existence since at least January 17, 2009, when it was still being developed (pdf). At that time, the group was trying to get the support of J-Street for its campaign. The two co-founders of this group were said to be Lori Rudolph and Rich Forer, though Forer appears to have subsequently left the organization. The message was deliberately provocative and was intended to elicit a strong reaction from the opposition, which we hoped would lead to the type of controversy that generates publicity in the local media. This approach is designed (1) to raise awareness of the issue with the general public, (2) to serve an educational function, and (3) to ultimately lead to the broad-based political pressure that is essential if any fundamental change is to occur in U.S. policy regarding Israel. Muslim Women Outreach, New Mexico People’s Weekly Forum, Stop the War Machine, Albuquerque Unitarian Universalist Fellowship Social Concerns Committee, United Nations Association, Albuquerque Chapter (UNA), Veterans for Peace-Albuquerque, Veterans for Peace-Santa Fe. The billboards which mentioned “killing children” were removed by Lamar Outdoor Advertising after three weeks of the eight week contract, after it had received numerous complaints. Medea Benjamin of Code Pink offered help to the group. However, in December 2009, a new series of billboards appeared in Albuquerque, with the same images, but a modified message. The revised slogan read: “Tell Congress: Spend Our $$ At HOME NOT ON THE ISRAELI MILITARY!’ These signs were erected with the assistance of Del Outdoor Advertising, a company based in Yuma, Arizona. Susan Schuurman gave her name and contact email at the foot of the document describing the erection of the New Mexico, offering assistance to others who wish to set up similar billboards. Two other names appear, offering help: Hebah Ahmed and Armen Chakerian. According to Albuquerque Center for Peace and Justice, Chakerian is a leading figure in the Albuquerque-based group “Middle East Peace and Justice Alliance,” which supports sanctions against Israel and displays Susan Schuurman’s video. A quick search into the ownership of the website reveals that the registrant for the site is called Sarah Ahmed of the Stop 30 Billion Coalition, which is based in Edgewood, New Mexico. This woman Sarah Ahmed appears to be the same person featured in a New York Times article from June 2010 (pictured below with a niece). Sarah Ahmed is a sister of Hebah Ahmed, and both cover themselves entirely in Islamic robes, with their faces obscured by face-veils (niqabs). Sarah Ahmed prays at the Islamic Center of New Mexico, in Albuquerque. Originally I was investigating the story of the Seattle bus campaign, where I was alarmed to find a local Episcopalian Cathedral involved with blatantly anti-Israeli political campaigns. I am less surprised to find people like Cindy Sheehan and Medea Benjamin supporting an anti-Israeli campaign, and finding two fully-covered Muslim women involved in an anti-Israeli campaign is also not surprising. Though he is praised and admired by representatives of this movement, I can find no direct link between Ali Abunimah and the billboard campaigns. However, he is the ideologue whose views inspire the movement. Abunimah’s book One Country is recommended by people behind the “Coalition to Stop $30 billion to Israel” Facebook group. This tome suggests that Israel should be replaced by a secular state where Jews and Palestinians live in peace. This notion appeals to liberals and leftists, though by its nature it would mean the destruction of Israel. Abunimah’s description of Hamas and Hizbollah as being on the road to dialogue and compromise (quoted above) is a distortion of inconvenient facts to fit his theory. Israel's Minister of Foreign Affairs has summoned his country's ambassadors in European countries and given them clear instructions to make use of public relations experts to improve the image of the Zionist state in European public opinion. The minister identified specific tasks for the diplomats to complete by 16 June at the latest. One of those tasks is to draw up a list of 1,000 people who are sympathetic to Israel from the major European capitals such as London, Berlin, Madrid and Paris, as well as other cities such as Oslo, Copenhagen and The Hague. The purpose is to be in constant contact with these people and inform them of the Israeli positions on issues of the day, and explain its point of view. This is a public relations campaign intended to defend Israeli policy and exploit media outlets and other platforms for this purpose. Presumably, those who the minister describes as "allies" on the list of 1,000 in every European capital would take part in pro-Israel demonstrations whenever required. They would also be required to issue statements defending Israel's policies, publish articles in local newspapers to polish its image and influence public opinion. And, of course, Israel has allocated a significant budget for this campaign, which would be placed under the control of its embassies in the European countries concerned. It could well double the budget allocated for each embassy. Among those who will be recruited for a mission to defend Israel are journalists and Jewish organizations active in Europe, in addition to some Jewish figures known for their support of Israel. Prominent cultural figures and student organizations will also be recruited; Israeli diplomats will forge special relationships and provide up to date information, regardless of its validity, accuracy or veracity. In this context, the Israeli Foreign Ministry, which launched this media campaign, will play a vital role in providing support for the efforts of its embassies by, for example, leaking political letters about Israel's Middle East policies, its position on the regional peace process and its relationship to the issues raised on the ground; as well, of course, on the nature of its relationship with the Palestinians. It is expected that Israel will ease its rhetoric concerning the settlements as well as its other provocative behaviour in order to show how committed it is to achieving peace. But Israel, away from the familiar issues that it will find difficult to gloss over and given what is published by the serious media about its excesses - which it cannot hide - will focus the PR campaign on other matters to make its mark on public opinion. For example, it will highlight economic issues and its distinguished record in this area. It will also feature Israel's technological progress in addition to a definition of the Jewish state as a tourist destination with many sacred places which Christians long to visit. It will cover up the occupation, violence, land confiscation and home demolitions as they reflect Israeli policy towards the Palestinians. At the same time the Israeli embassies will try through their loyal networks to raise controversial issues pertaining to other Middle Eastern countries, such as the question of human rights in Arab states. It will also seek to scare the West about Islamic groups and "Hezbollah" in order to distract attention from its own human rights and international law violations. It remains to be seen who will be among the 1,000 recruits in each country; no doubt the Israeli embassies will do everything to conceal their identity. Notwithstanding this, a significant number of these public figures will not hide their clear support for Israel, through articles or their frequent appearance on TV news. Others will adopt a more cautious approach and conceal their identities so that it does not damage their interests in Arab states or the Muslim and Arab communities across Europe. It should be noted that Israel's attempt to boost its image comes after it has suffered a significant decline in European sympathy. Europeans are now more willing to be critical of the state without fear of the readymade charge reserved for its critics – anti-Semitism. It will be interesting to see the extent, if any, of the proposed PR campaign, especially as there is no guaranteed outcome. The experience of others might be useful as an indicator. Using its huge influence and presence, France, for example, tried to boost its image during the Algerian war of independence. Despite all attempts to entrench the official version of events, many sectors of the French people were sympathetic to the Algerian liberation movement. In the end, France was forced to review its position in Algeria and relinquish what it had long regarded as an integral part of its territory. Israel has harnessed huge resources for its information campaign which, nevertheless, lacks credibility; in the internet world it is no longer easy to hide the truth. Globalization and the flow of information have opened up everything. In fact the sympathy that Israel enjoyed in the past when it was seen as a small country in a sea of hostile nations seeking its elimination has dissipated today; such a view is now limited to small right-wing groups and conservatives following Israel's transformation into a major nuclear-armed power in the region. The ongoing military occupation of Palestinian lands in the West Bank and the siege of the Gaza Strip have added to this shift in perception. World and European public opinion is today especially troubled by Israeli actions in recent years, from the 2006 war against Lebanon and the targeting of its civilian infrastructure; the terrible bombardment and invasion of the Gaza Strip in 2008/9; and, last but not least, its bloody attack on the "Freedom Flotilla", when nine unarmed men were killed by Israeli commandos. It is obvious, therefore, that if Israel is serious about improving its image, it should look to the origin of its problems and change its policies, bringing about an end to its occupation of the West Bank and Gaza Strip and settlement activity. That is the only way for Israel to return to the fold of the international community as a normal state that does not subjugate the Palestinian people or occupy their land. The author is Director of the Institute of International and Strategic Relations, France. 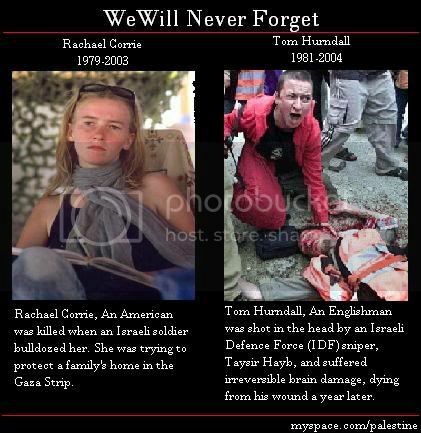 Isrealis and Isreal needed to burnt alive irrespective of their age. They all are criminal and must be punished. If you do then you will be acting directly against the commandments in the Holy Quran. We can’t declare ‘kital’ version of ‘jihad’ as ‘haram.’ We must fight back if we are not allowed to practice our religion or we are thrown out of our lands but when they stop, we are ordered to stop, since God Almighty doesn’t like those who exceed limits. No, we can't burn them all alive. Yes, we are in no way less than them or anyone else and we all have 'equal God given birth rights' to freedom, justice, equality, etc. Merry Christmas, Israel, Season's Greetings. As the rest of the world celebrates with good will, happiness, fraternal love, Israel bulldozes Palestinian homes, Israel tells Palestinians to pay to demolish their own houses, or face a fine which costs twice as much if the authorities are called in. 42846.jpegMerry Christmas, Israel, for Christ was Jewish. In fact, he was from the royal family of David. Yet while Christ spread a message of peace and love, Israel is being criticised by the United Nations Organization for demolishing Palestinian homes, precisely at a time when the rest of the world is celebrating, when the children of the world are waiting for Father Christmas to bring presents. Israel's presents are the following...in the words of the West Bank Field Director for the UN Relief and Works Agency for Palestine Refugees in the Near East, Barbara Shenstone, demolitions in contravention of international law. Now where have we heard that before? Merry Christmas, Israel. "These condemnable acts have a devastating impact" (UNO). 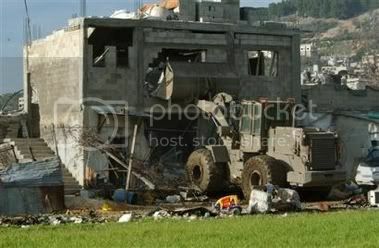 A two-year-old Palestinian child stated "All I want to do is die", as he witnessed the destruction of his family home. 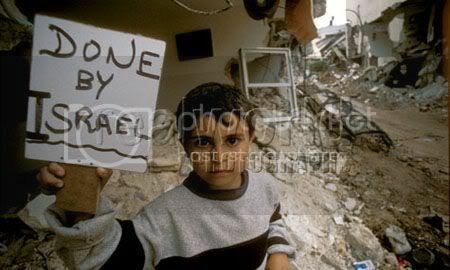 As all other children in the world are gathering together to receive presents, " I call on the Israeli authorities to cease demolitions and evictions in occupied areas which are in contravention of Israel's obligations under international law, including the UN Convention on the Rights of the Child, to which Israel is a party" (Barbara Shenstone). The United Nations Organization states that in 2010 there has been a 45% increase in demolition of Palestinian homes, meaning that 561 people have been displaced, including 280 children. I admire members here for raising this, and I know that this is a great human injustice and is barbaric. However, Pakistan is in no position to assist. Arabs with their trillions of dollars are in silience because they want this conflict to go on. These arabs are partners with Israel, so why do we need to get involved?? We should stay away from arabs as far as possible. Israeli troops Sunday shot and killed a Palestinian who approached them at a West Bank checkpoint holding a glass bottle, the Israeli military and Palestinian officials said. A military spokeswoman said the man, identified by Palestinian officials as 24-year-old Ahmed Muslamani, did not heed orders to halt and they opened fire as he came closer. Muslamani was shot in the chest and leg, said a Palestinian medical worker who collected the body at the Israeli military checkpoint near the West Bank city of Nablus. The military spokeswoman said she did not know the contents of the glass bottle. "The soldiers apparently felt threatened," she said. Violence in the occupied West Bank has largely tapered off in the past few years as a result of security measures by Israel and a bolstered Palestinian police force supervised by Western-backed Palestinian President Mahmoud Abbas's government. But Saturday, a Palestinian woman died the day after inhaling gas fired by Israeli forces quelling a protest a day earlier against Israel's West Bank barrier near the village of Bilin, a senior Palestinian medical official said. The Israeli military said troops had fired tear gas at stone throwers and the circumstances of the woman's death were under investigation. Richard Miron, spokesman for United Nations Middle East envoy Robert Serry, said they were "awaiting the full facts of these tragic fatalities" and urged Israel to protect the civilian population and refrain from using excessive force. 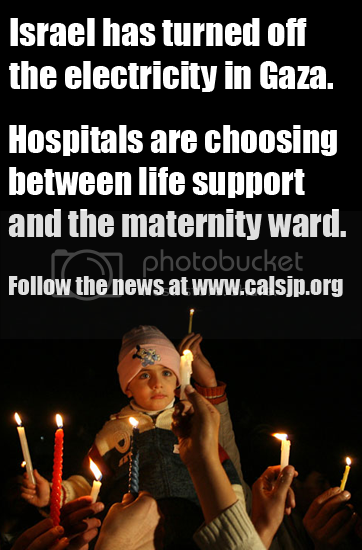 In other violence Sunday, militants in the Gaza Strip fired a rocket into southern Israel. 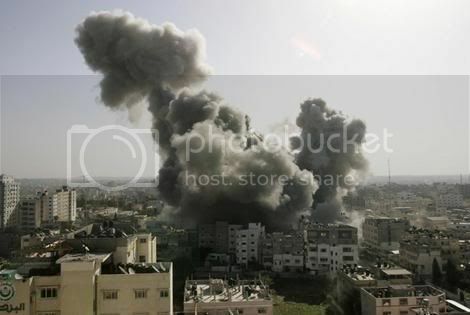 Israeli aircraft attacked targets in the Hamas-controlled territory, wounding two Palestinians, medical officials said. The Israeli military said it targeted a "Hamas terror activity centre in northern Gaza and a weapons manufacturing facility in central Gaza" in response to the continued cross-border rocket attacks. Israeli troops shot dead a Palestinian brandishing a pipe bomb at a West Bank check point on Saturday, the army said. An army spokesman said the man leapt from a taxi and ran towards the checkpoint holding the device, shouted in a threatening manner and refused calls to stop before being shot. "As well as the pipe bomb, troops later found a second device on the man's body," the spokesman added. 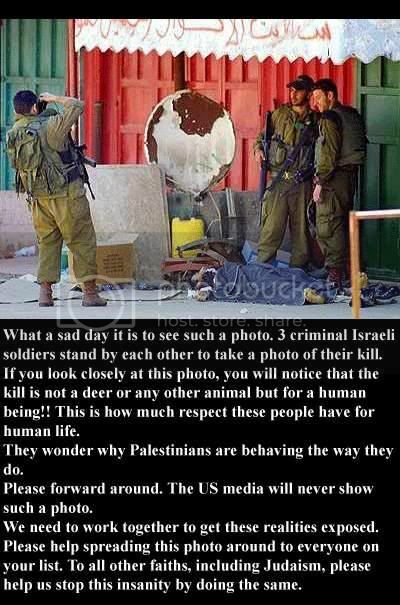 The incident occurred at the same checkpoint near the West Bank city of Nablus where on Sunday soldiers shot dead a Palestinian man holding a glass bottle. Violence in the occupied West Bank has largely tapered off in the past few years as a result of tighter security measures and cooperation between Israel and foreign-trained Palestinian police. But tension has surged in the past week, coinciding with a deepening deadlock in Israeli-Palestinian peace efforts. On Friday, Israeli soldiers killed a 65-year-old Palestinian in his bedroom during a pre-dawn raid to seize a Hamas suspect who lived in the same building, in what the army admitted was a mistake. Last Friday, a Palestinian woman died following a protest against an Israeli barrier built across the West Bank. A local medic said the woman died after inhaling tear gas. GAZA CITY: Israeli warplanes renewed their air strikes in the Gaza Strip, as Israeli Prime Minister Benjamin Netanyahu warned of the consequences if Palestinian rocket fire continued. The first air strikes on the southern Gaza city of Khan Yunis killed a militant of the Islamic Jihad and wounded another man, Palestinian sources said. “This operation disrupts the execution of the attack by Islamic Jihad,” an Israeli army spokeswoman said. “That organisation has been involved in the firing of rockets towards Israeli territory and IDF forces (army) in the past few days,” she added. Adham Abu Selmiya, spokesman for the Hamas-run health services in the Gaza Strip, named the dead man as 25-year-old Mohammed Jamil al-Najar. The al Quds Brigade, the armed wing of the Islamic Jihad militant group, said Najar was a member and pledged revenge for the attack. Later raids hit three sites used by Hamas security south of Gaza City and also a training base of the Islamic Jihad group in Khan Yunis, but caused no further casualties, Hamas officials and eyewitnesses said early Wednesday. The Hamas facilities housed offices of the Hamas National Security Service and its naval wing, they said. An Israeli military spokesman confirmed only that aircraft had hit three “terror targets” in response to recent rocket and mortar fire from Gaza. Tensions have been rising in recent weeks with militants firing dozens of rockets and mortar shells into southern Israel and the Israelis responding with air strikes. In the most recent incident a rocket fired from Gaza hit open ground in the Negev desert, causing no casualties or damage. Several rockets, however, have hit populated areas, causing injuries and property damage. On Tuesday night, Netanyahu warned of the consequences if the rocket fire were to continue. Israel launched the devastating “Operation Cast Lead” in December 2008 in response to hundreds of rockets fired from Gaza into its territory. 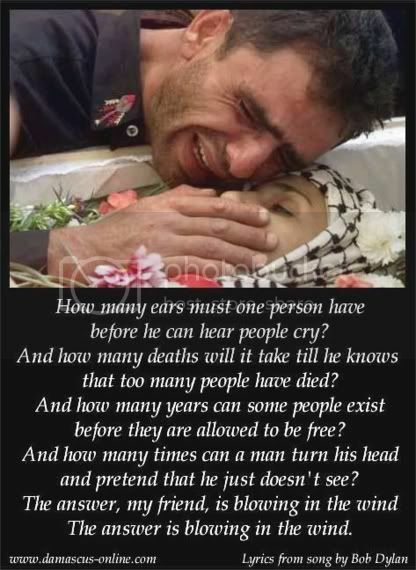 The 22-day war, which ended in a ceasefire on January 18, 2009, killed 1,400 Palestinians, around half of them civilians, and 13 Israelis, 10 of them soldiers. The Hamas rulers of the Gaza Strip have said that they do not want another war, and have called on militant groups in the coastal enclave to avoid provoking a new confrontation. UNITED NATIONS: Pakistan has called on the UN Security Council (UNSC) to hold Israel accountable for its continued defiance of international efforts to bring about a just settlement of the Middle East dispute. “Flying in the face of the international community’s will, Israel continues to implement policies in defiance of international law, and work towards undermining the basis of the two-state solution,” Ambassador Raza Bashir Tarar, acting Permanent Representative of Pakistan to the UN, told the Security Council. “Its (Israel’s) efforts to redraw the map of Palestine through continuation of illegal settlement activity, continued persecution of Palestinians and reluctance to accept the 1967 borders as the basis for negotiations, is taking the region to a state akin to a powder keg,” he said in a debate on the Middle East situation. The Pakistani envoy supported Palestinians’ right to self-determination, as well as the creation of an independent fact-finding mission in the ‘Occupied Palestinian Territories’, including East Jerusalem. He noted that Secretary-General Ban Ki-moon’s February visit to the region was a “timely initiative” that would help re-focus international attention on the festering dispute. Tarar strongly condemned the April 4 announcement of new tenders for over 1,100 Jewish settlements in East Jerusalem. These actions represent major roadblocks to peace, he said. The Middle East diplomatic quartet – comprising the UN, European Union (EU), Russia and the United States – had reaffirmed its commitment to all elements of its road map, but he said it was disconcerting that its statement focused more on the financial viability of the Palestinian Authority than on settlements as a basis for starting negotiations. For its part, the Security Council should help create the conditions for restarting the peace process, the Pakistani envoy said and hold Israel accountable for its defiance. Tarar pointed out that more than 4,700 Palestinians languished in Israeli prisons and the international community should force the occupying Power to amend its ways. Israel’s blockade of Gaza was diminishing the economic prospects of that area. Still Palestine had proved it was ready to take its place among the community of nations, he said. because she wanted to say more words than allowed, yet she is hoping that in one way or another it will reach Mr. Slomnicki. So please circulate to your international friends. “I am writing this to remind Mr. Slomnicki and all the Slomnickis of the world that the first perpetrators of “Terrorism” in our region were the Jewish underground in Palestine during the British Mandate. Israel did not exist then, but Jewish terrorism started before 1948. I do not know how old you are Mr. Slomnicki, but if you are under 60 years you probably need to learn about the bombing of the King David Hotel Wing of the British Secretariat in July 1947 in which one hundred Palestinians were blown up. The bombing took place on a Saturday to spare Jewish lives who were off on that day. Ironically the man behind the bombing was Menahim Begin who later became one of Israel’s prime ministers. King David was just the beginning followed by many other terrorist acts, such as the Semiramis hotel when a whole Palestinian family perished and the Palestine Post offices. The list is endless, but fortunately it has been recorded by many historians and ironically some Jewish ones of conscience who had the courage to expose the truth. But surely you must have heard of the “calculated” massacre of Deir Yaseen, a peaceful village near Jerusalem when a defenceless population was massacred, mostly women and children. A gruesome sight that triggered a scare that led to the fleeing of many Palestinians from their homes. After 1967 The Jerusalem Post quoted Mr. Menahim Begin regarding Deir Yaseen: “It was a blessing in disguise because it helped create the State of Israel.” Of course those who did not flee were driven out at gun point in other parts of Palestine. With regard to your letter Mr. Slomnicki that Israel has the right to defend itself, we are really tired of this cliché. Surely Israel has the right to defend itself and so does every nation, but not when Israel is the aggressor, the occupier, the oppressor and the fifth strongest army in the world loaded with a stockpile of nuclear weapons. 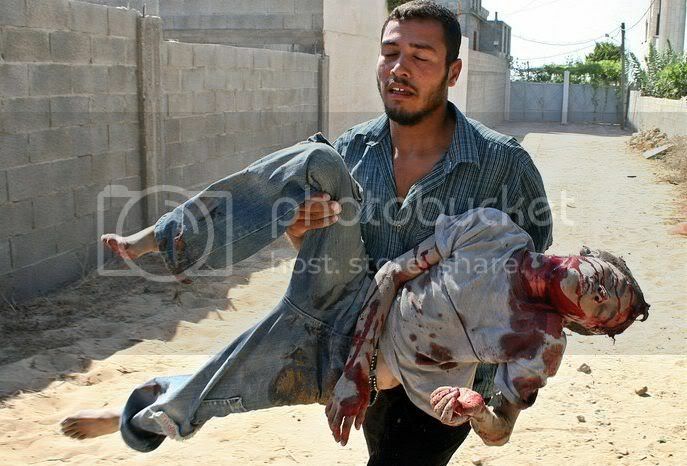 So from whom is Israel defending itself? From a defenceless, dispossessed, and occupied population separated by walls and check points while their homes are demolished and their farms and olive trees are razed. Are you comparing a resistance of an area under siege by the use of crude home-made missiles that might have injured a few people but hardly caused any damage, to the Israeli air strikes of populated Gaza that killed hundreds? 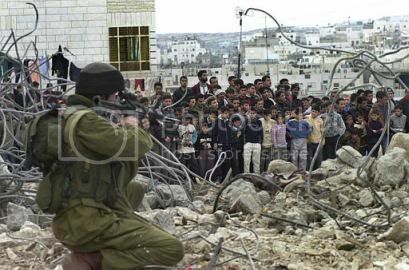 The attack on the Jenin camp was another act of “terrorism” and not by underground militias, but by the regular and sophisticated Israeli army. So it is ironic that you should really be so worried about “poor” Israel’s need to defend itself. And so is the implanting of the settlers and settlements on Palestinian land an act of terrorism, especially that those settlers are there as colonizers with the sole aim of driving away the Palestinians. They raid their homes, block them from reaching their farms and groves and use every means to deprive them from living a peaceful life. Not only does Israel want to be the only country that owns nuclear weapons in the region, it wants to be the super power of the region. It succeeded in having the USA fight its war to eliminate what they perceived as a potential threat, a potential threat, Iraq, under false pretexts, and now their next target is Iran. Mr. Carter also alluded to that in the Time magazine at one time that if Iran has one war head, Israel has 300. So Iran will definitely not attempt to attack Israel knowing its strength. Surely the Soviet Union and the USA during the years of the Cold War were aware of each other’s strength and none would have attempted an attack because both countries would have been destroyed. The key word was restraint. Israel's Border Police opened an official investigation yesterday in response to video footage showing an officer kicking a Palestinian boy while he is being held by a colleague. The footage, filmed on Friday and issued yesterday by the Israeli human rights agency B'Tselem, shows nine-year-old Abd a-Rahman Burqan being grabbed by one policeman who says: "Why are you causing trouble?" Another then comes up to the boy – by now prone and crying out – and kicks him. 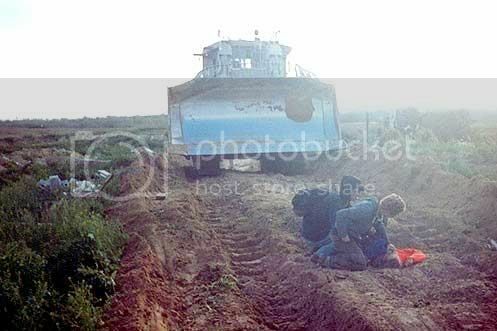 The first officer then lets the boy go and he runs away. B'Tselem frequently gives video cameras to Palestinian citizens to film possible human rights abuses in the occupied territories. 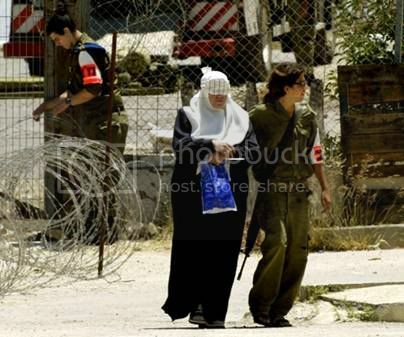 The incident took place in the Israeli-controlled sector of Hebron where Jewish settlers live alongside Palestinians. The incident follows publication of a Foreign Office-funded report by British lawyers last week citing violations of international law in the detention of children in the West Bank. The area, close to the Tomb of the Patriarchs and the Ibrahim mosque, has seen recent friction between police and Palestinian boys, and some police officers have complained of stone throwing. The boy's father, Amer Burqan, said his son had gone to collect soup given out to the poor. A Border Police statement said such conduct was "contrary to [its] values" and that an investigation had been ordered "immediately". bro i totally i agree here. These arab regime are to blame. what we see in these pictures are horrifying but what happening in syria at the moment by the likes of assad are far worse. These arab regime are letting the people being slaughtered in the hands of israel yet when they get a chance they commit worse attrocities. These fat arabs in the gulf stashed away $3trillion in zionist banks, if only they released half of that to Pakistan im sure even the corrupt officials and general will be willing to get rid of this cancer in palestine. PARIS -- French prosecutors opened a murder inquiry into the death of Yasser Arafat on Tuesday, his widow's lawyer said, after she and a TV investigation raised new questions about whether the Palestinian leader was poisoned. Many in the Arab world have suspected Arafat was poisoned, and a Swiss lab's recent finding of elevated levels of polonium-210 -- a rare and highly lethal radioactive substance -- on Arafat's clothing has fed those claims. However, the Institute of Radiation Physics said its findings were inconclusive and that only exhuming Arafat's remains might bring clarity. Palestinian officials waffled on that matter -- initially approving the exhumation and then saying the matter needed more study -- and fueled more suspicions. In 2004, in a French military hospital outside Paris, Arafat died of what doctors said was a massive stroke, but the Swiss lab's tests renewed interest in his death. The findings were first broadcast by Arab satellite TV station Al-Jazeera, which approached the lab on behalf of Arafat's widow, Suha Arafat. She gave the lab his clothing and other belongings. After the results were released, Suha Arafat filed a complaint asking for a murder investigation. Her lawyer, Pierre-Olivier Sur, confirmed Tuesday that the prosecutor's office in Nanterre, the seat of the district where the military hospital is, agreed to take up the matter. Next, a judge will be appointed to lead the inquiry. Sur said in a statement that his client would not comment because she wants to let the judge do his work. "This is a good step forward, any step aimed at revealing the truth about Yasser Arafat's death is good," said Abdallah Basher, who heads a Palestinian medical committee investigating Arafat's death. THE ISRAELI military has released documents showing that in order to enforce its closure on the Gaza Strip it calculated how many calories residents needed on a daily basis in order to avoid malnutrition. The 2008 document, entitled Food Consumption in the Gaza Strip – Red Lines, was released after a three-and-a-half-year legal battle waged by the Gisha human rights organisation. The document was drawn up shortly after Israel imposed an economic blockade on Gaza after Hamas seized power, hoping the restrictions would turn the population against the Islamic group. It calculated the minimum number of calories necessary, adjusted “to culture and experience” in Gaza. Israel concluded that 2,279 calories per person per day were needed, which could be supplied by 1,836 grammes of food, or 2,575.5 tons of food for the entire population of Gaza. Accordingly, it allowed 106 trucks per day carrying humanitarian assistance to cross into Gaza, five days a week, via the back-to-back system, under which the goods were transferred directly from an Israeli truck to a Palestinian truck at the border. According to the European Food Information Council, a non-profit organisation which communicates for consumers science-based information on nutrition and health, women need a daily intake of about 2,000 calories, men need between 2,500-2,800 calories, and toddlers about 1,300 calories for healthy lives. According to Britain’s National Health Service, the average male needs about 2,500 calories a day to maintain their weight. For an average woman, the figure is about 2,000 calories a day. 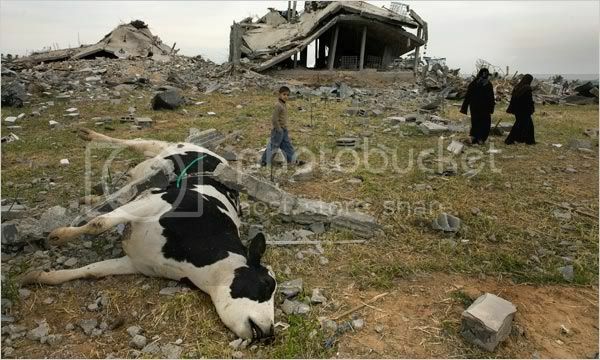 Israel was forced to abandon its land blockade under heavy international pressure after the May 2010 naval raid on the Gaza-bound MV Mavi Marmara, in which nine Turkish activists were killed in clashes with Israeli commandos. Objecting in court to the release of the document, military representatives claimed it was merely a rough draft that was never actually implemented, and that it did not guide Israeli policy in practice. The document determined that the average Gaza resident needed 207 grammes of bread/wheat products a day, 461 grammes of fruit, 267 grammes of vegetables, 69 grammes of rice, 15 grammes of cooking oil, 258 grammes of meat, 486 grammes of milk and 39 grammes of sugar. Gisha claims the Israeli policy was based on two main tenets: that after the Hamas takeover of the Strip, Israel had only minimal humanitarian obligations toward Gaza’s residents, and that pressure on the entire population was a legitimate and effective tool in the context of the armed conflict with Hamas. Gisha concluded that the Israeli policy did not lead to hunger or ongoing food shortages, but did lead to a significant increase in food prices and contributed to a severe economic crisis and an increased dependency on aid. Robert Turner, the director of operations for the UN Relief and Works Agency (Unrwa) in Gaza, said a policy intended to cap food imports is contrary to humanitarian principles. “If it is intended to prevent a humanitarian crisis by setting a minimum threshold, it has failed.” In practice, large quantities of food and other supplies, including weapons, were smuggled into the Gaza Strip via an extensive network of tunnels under the border with Egypt. Israel has eased its restrictions on food entering Gaza but still limits raw materials, which it claims can be used for military purposes, and maintains a maritime blockade. What a haiwan, swine human ! Indian and Israeli combined activities behind Palestinian drug addiction was an eye opener for me and led to reflection on what would be the ramifications for allowing Indian drugs into Pakistan under MFN status and is there an insidious plan in place to further destabilize the populace who already is burdened with a seige mentality brought on by the last ten years of troubles or is it just paranoid thinking on my part. hmm. The number of Israeli settlers in the West Bank has doubled since the Oslo Accords were signed 20 years ago. Twenty years have passed since the signing of the Oslo Accords, the first agreement between Israelis and Palestinians since 1948. The accords led to Israel and the Palestinian Liberation Organisation's mutual recognition of one another, stipulated the withdrawal of Israeli forces from some Palestinian territory, and created the Palestinian Authority to govern the West Bank and Gaza. However, Israel's occupation of the Palestinian territories has continued until today, and the number of Israeli settlers in the West Bank has doubled since the Oslo Accords were inked. Today, about 20 percent of the West Bank's population are settlers. Meanwhile, the Palestinian territories have become increasingly divided: The Fatah movement rules the West Bank, while its rival Hamas has controlled Gaza since elections in 2006. This led to a tight Israeli blockade of Gaza, and two Israeli assaults on the territory: Operation Cast Lead in 2008-09, and Operation Pillar of Defence in 2012. The Oslo II Accords, signed in 1995, divided the West Bank into three divisions known as Area A, Area B, and Area C. This has split the territory into 167 enclaves, and Area C, which comprises about 60 percent of the West Bank's land mass, is under full Israeli control.